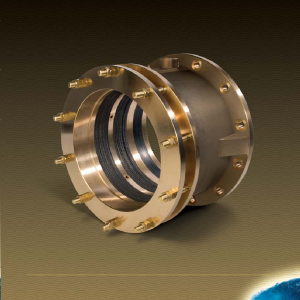 The Johnson Demountable bearing system combines the performance of precision-fitted bearings, rugged simplicity, and inherent advantages of a rubber polymer water-lubricated system. 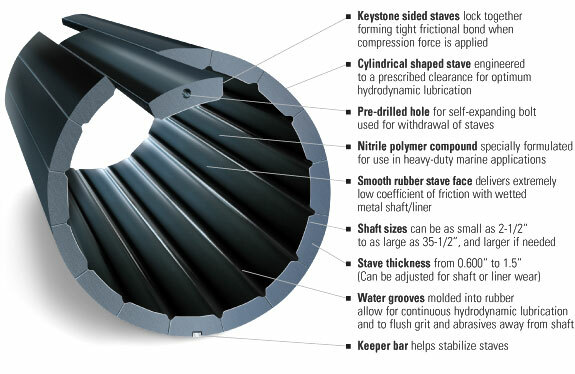 It is made up of keystone-sided molded solid nitrile staves, precision-fitted to the shaft journal. When installed, the staves form a self-locking cylindrical bearing for a round bore housing. The system provides improved water lubrication, improved shaft alignment, suppression of resonant vibration and minimizes transference of vibration to ship’s structure. 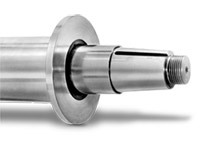 Bearing replacement can be done safely and quickly without shaft withdrawal. Replacement bearings cost less than one-half of conventional bearings.